This 2000 rpm high speed burnisher, is very similar to our 17 inch high speed buffer, but this machine covers even more ground, in less time. This helps save you money! Unfortunately the 20 inch version does not come with a fold-down handle, but it more than makes up for it in performance. 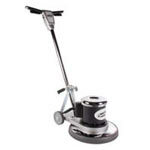 Comes complete with flex-lock pad driver for constant and even pad contact across the entire 20 inch burnishing surface. 2000 rpm burnishers are recommended for use on 20 amp dedicated circuits! 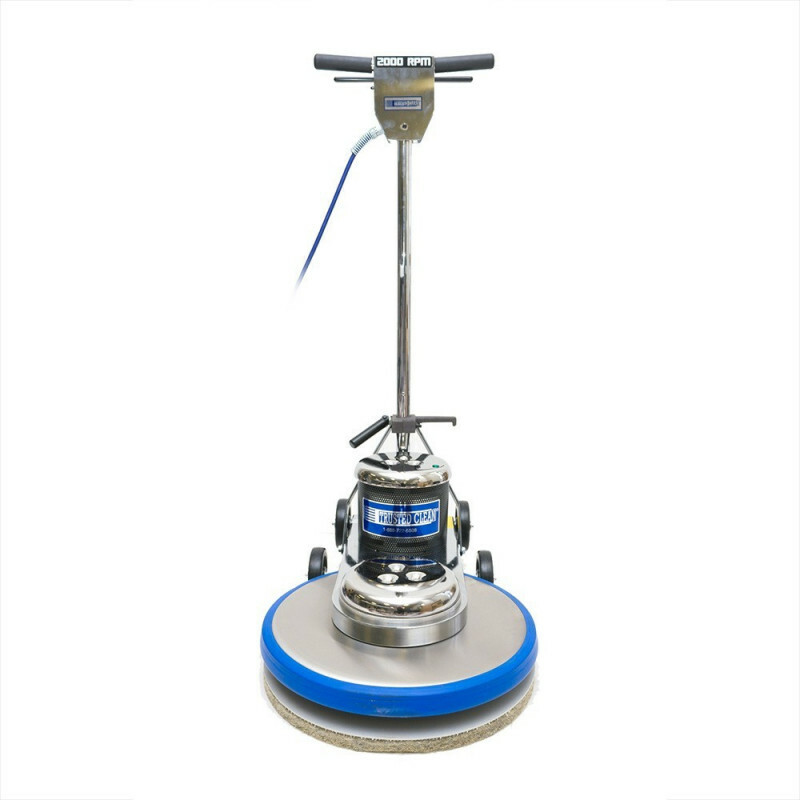 For other options, such as our 1500 rpm models, please take a look at our complete line of electric floor burnisher buffers. Multi-V belt drive reduces load on bearings and extends motor life. Heavy-duty steel cord strain relief with spring guard. Smooth operation for reduced operator fatigue. Unique lockout system prevents accidental start-ups and allows machine to be activated with both hands on the grips. All metal chassis plus stainless steel cover assure long life and dependability. Handle folds down for super easy storage and transportation. Rear transport wheels for easy turning and increased mobility. 10 year warranty on stainless brush cover, 3 years on parts, 1 year on labor. 53" x 31" x 23"